This workbook is designed to help non-native English speakers improve their knowledge and understanding of core banking and financial terminology. at home. It uses a variety of engaging activities such as word games, crosswords, speaking exercises and group games, which make learning easy and fun! This book has been written for people whose first language is not English, and who need to use English in the context of banking and finance. It covers language useful for working in retail banking, company finance departments and other situations involving financial transactions. There is a strong focus on the language needed to communicate on financial topics, discuss financial problems and plan projects. It does not cover rarely-used terms, or academic terms used by economists. All the language in the book is intended to be accessible to intermediate level students and above. How can the book be used? The vocabulary is arranged by topic. Choose the topics that interest you. The pages do not have to be completed in any particular order, and there is no need to complete all the pages if some are on topics which are not useful to you. It is better to complete one or two pages in a day, and remember the vocabulary, rather than completing as many pages as possible. The answers to the exercises can be found at the back of the book. There is also an index to help you find the pages which are most useful to you. Write new words and phrases you learn in a notebook or file. Review this language regularly so that it becomes part of your active vocabulary. A good general dictionary will be very helpful, providing pronunciation guides and more contexts. 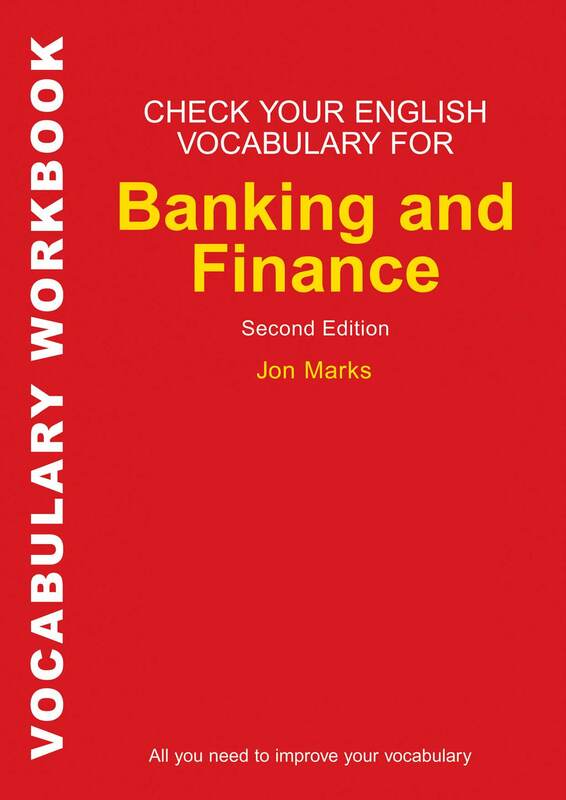 For vocabulary relating specifically to Banking and Finance, Dictionary of Banking and Finance (A&C Black, ISBN 978-07136-7739-3) will be a useful reference source. Jon Marks is a qualified teacher of TEFL and works freelance as a teacher-trainer, writer and translator. He has written previous English language workbooks for Macmillan, Klett and Longman.